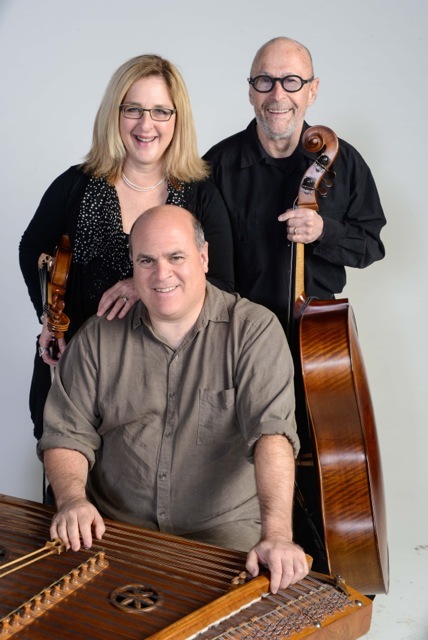 Veretski Pass returns by popular demand for their third appearance on the Jewish Music Series. Venturing beyond the known Horas, Freylekhs, Bulgars and Shers of Moldova, Ukraine and Russia, Veretski Pass mines the obereks, kujawiaks, krakowiaks and polkas of Poland, the land that was once home to three million Jews. Inspired by the 1901 story, A Gilgul Fun a Nign (Metamorphosis of a Melody), Polyn draws from previously unknown Hassidic tunes, country dances, contemporary and 19th century ethnographic collections as well as from field research of the musicians and their colleagues. Veretski Pass includes Cookie Segelstein, violin; Joshua Horowitz, cimbalom and accordions; and Stuart Brotman, zakopany cello. Veretski Pass and Joel Rubin in Concert, Erfurt, Germany from Mark Werlin on Vimeo.